. . . where the Cameron family saga began . . .
Cam wasn’t planning on getting involved with anyone until he put the war firmly behind him but the hope and love Sandy brings to his troubled heart is irresistible. Will Sandy’s love be enough to bring Cam back from the edge of despair and convince him to get the help he so desperately needs? 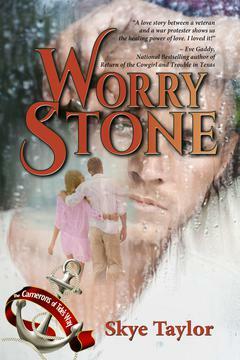 Is his love for her strong enough for him to pull his life together and be the man she believes in? If you would like to receive Skye Taylor's monthly newsletter contact her at Skye@Skye-writer.com and leave your name and email. I share interviews with other authors, reviews of books I read and really liked, new short stories and announcements of new releases. 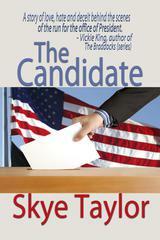 The Candidate: A mainstream intrigue. Set against the backdrop of a presidential campaign running up to election day, it's the story of one man's struggle with a buried memeory from his past that threatens to derail both his life and his bid for the highest office in the country. It's also the story of two other men, with equal chances to win who have secrets from their past that could be just as devastating. Available at: Amazon, B&N, and Wings-ePress. Thanks to Rosaninha Viera who posted this first - makes me feel good every time I watch it.